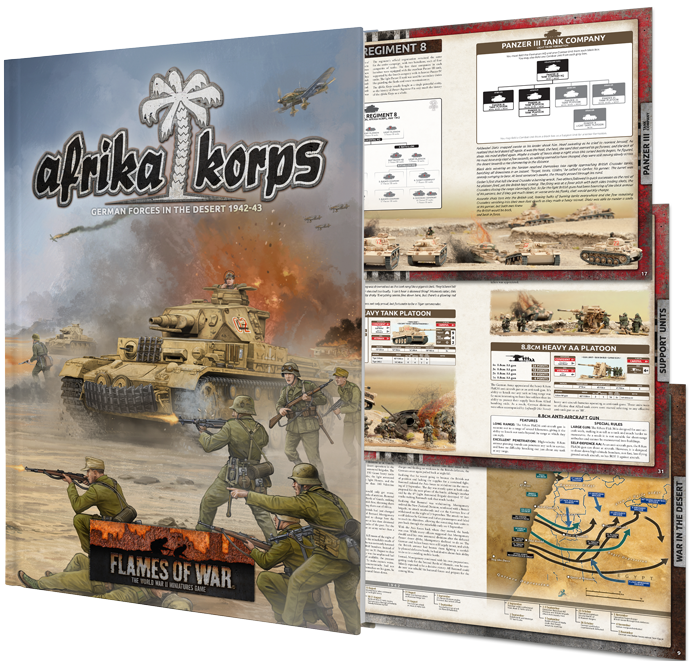 While Afrika Korps covers the Germans in the desert, it can also be used as the skeleton for a Panzerkompanie serving on the Eastern Front. I’ve always wanted to paint an Early / Mid-war Panzerkompanie in Panzer Grey, so when the new plastic Panzer III and Panzer IV plastic kits started arriving in the office, I appropriated a company’s worth. Below: The Panzer III Tank Company HQ. I’m quite slow at painting, so I wanted to design a list that would be quick and easy to paint. I decided on a Panzer III Tank Company as it has access to both Panzer III and Panzer IV tanks. I added the Tiger because it soaks up a lot of points, meaning I can get the army to the table faster. Historically, this combination places the army around the third Battle of Kharkov in February 1942. 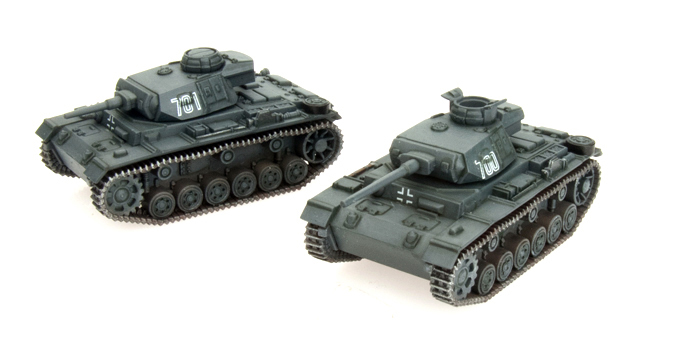 2x Panzer III (1x 5cm and 1x Long 5cm): 12 points. 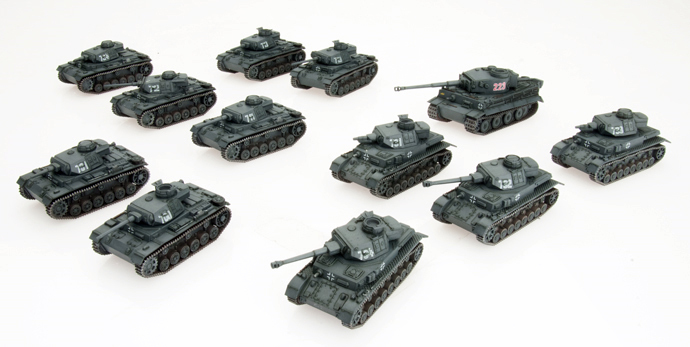 Below: The Panzer IV Tank Platoon. 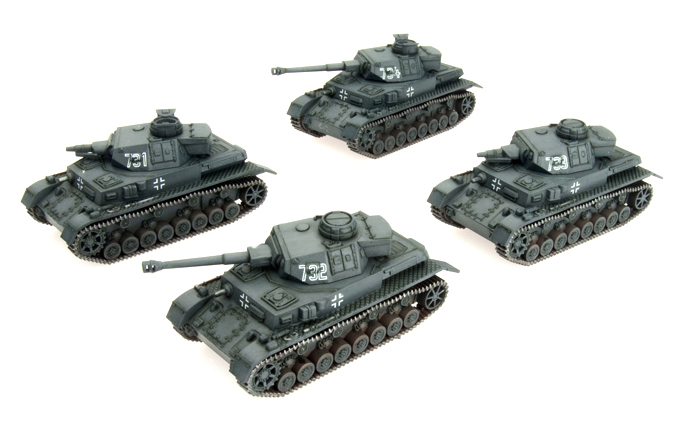 4x Panzer III (1x Short 5cm. 2x long 5cm and 1x Uparmoured 5cm): 27 points. 4x Panzer IV (2x Short 7.5cm and 2x Long 7.5cm): 32 points. 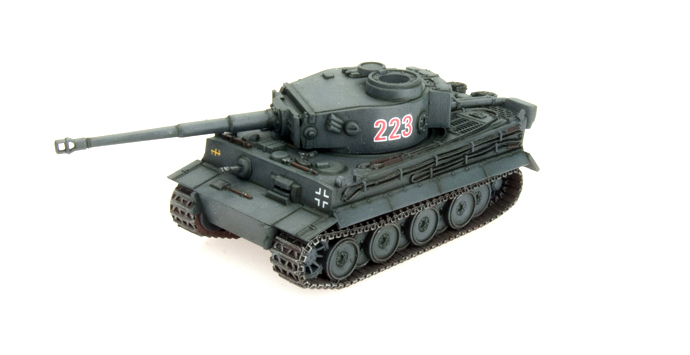 1x Tiger (8.8cm): 29 points. I ended up painting up an extra Panzer III (7.5cm) to give me options later. 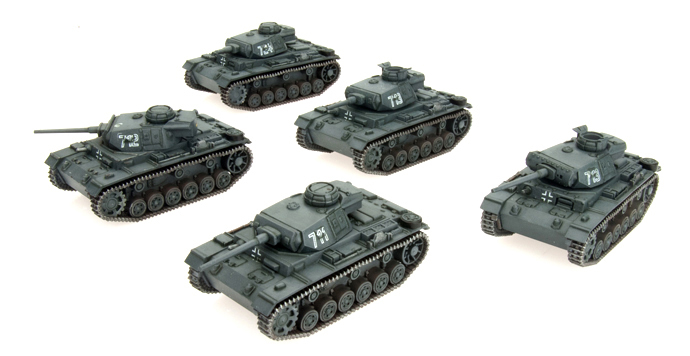 I intend on rounding the army out with some Marders, 88s, armoured cars later, to add to my large Mid-war Eastern Front SS-Panzergrenadierkompanie. Below: The Panzer III Company as it currently stands.